New Life Church are delighted to have evangelist Andrew Murray and his family with us this weekend. On Saturday 13th May he will be taking a day of training designed to inspire and encourage us to evangelism and mission. Everyone is welcome to join us at Rose Hill URC from 10am to 3pm. Please bring some lunch with you or nip into town for a sandwich. Andrew Murray is a fiery and passionate preacher of God’s Word, with a burning desire to lift up Jesus Christ and see Him save, heal and deliver. In his meetings many people have been blessed and encouraged as he preaches a message of faith and hope and also stirred and challenged to seek God’s presence. Along with the preaching of the gospel, Andrew's ministry is often accompanied with healings and miracles and times of encountering the Holy Spirit. Andrew has been in full time Christian ministry since the age of 18, originally based at a Church in Barnsley in the North of England where he was on staff for 15 years. 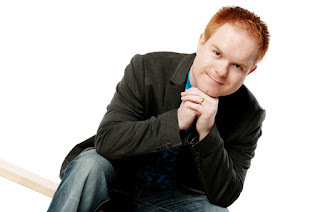 In 2014 Andrew launched “Generation Builders” ministries and began to travel full time as an evangelist. He travels extensively around the UK as well as overseas. Andrew is married to Laura and they have one child, Judah (and another on the way). They are members of Revive Church, a multi-site church in East Yorkshire.